Jim Cox of ODOT and Benton County Commissioner Linda Modrell before the City Club Monday. As for catching a ride on a high-speed or even moderately fast passenger train up the Willamette Valley any time soon, don’t get your hopes up. There is no estimate for when such a service might start, says Jim Cox of the Oregon Department of Transportation. 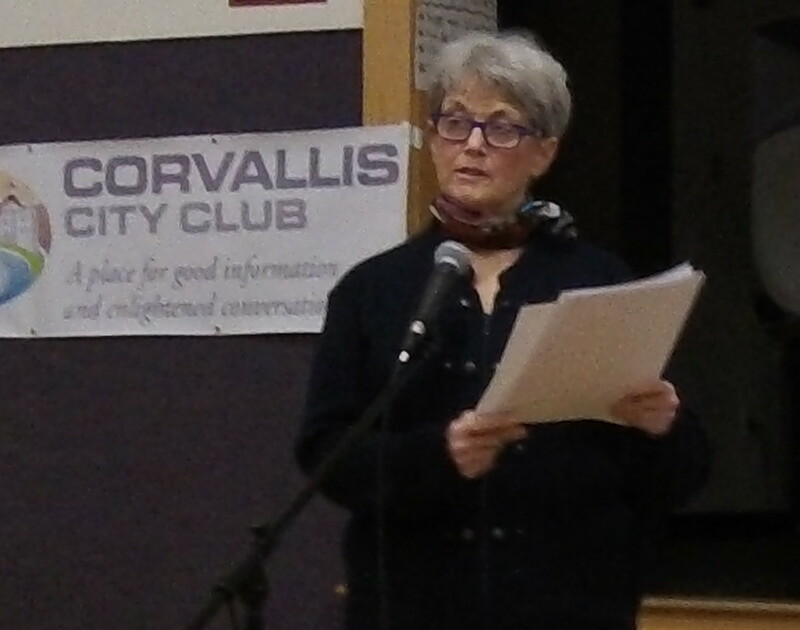 He and Benton County Commissioner Linda Modrell spoke about passenger rail before the Corvallis City Club on Monday. A west-side route would make more sense to Modrell. ODOT is in the middle of a study to improve passenger rail between Eugene and Porland. In about two years it expects to finish an environmental impact statement that will select a preferred route alternative. Some $10 million has been budgeted for the study. Oregon needs this study in order to become eligible for Federal Railroad Administration funding to make improvements in the route and the schedule. But funding is not assured. Far from it. The costs of this project may run $3-5 billion, according to Cox. If the leg between Eugene and Albany follows Interstate 5, one of two alternatives still being evaluated, the construction costs are estimated at $1.6 billion for this leg alone, and if the FRA funded it, Oregon would have to come up with 20 percent or $320 million. Modrell has long advocated passenger rail as a solution to future mobility in the valley. She believes double-tracking the Union Pacific route, as the current plan envisions for much of the way, is a mistake. For one thing, the UP is interested only in freight, not passenger rail that would go faster than the current maximum of 79 mph. For another, a route on the west side of the valley would allow for construction of an electrified line, which would make possible truly high-speed trains. It could also use the right-of way of the Bailey Branch south of Corvallis, which has been bought by Benton County to preserve it for future use. But Cox says a west-side route has been discarded largely because it would bypass Salem. 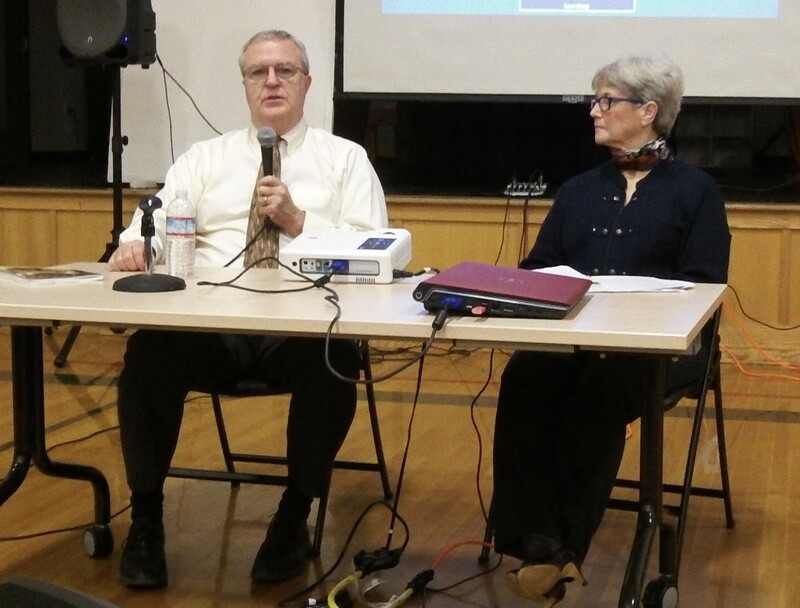 Modrell’s other point: If the north-south line stays where it is, Corvallis will need a better connection to the Albany station. Cox says ODOT has begun discussions about that with the Albany and Corvallis metropolitan planning organizations. Hopefully someone is asking: How does this project define success? Far too often rail projects are pushed on the taxpayer without much regard for cost effectiveness. The typical result is waste on a grand scale. For an interesting perspective on the issue, please read fellow Oregonian Randal O’Toole’s policy analysis linked below. Corvallis citizens can use the Loop bus to get to Albany just like we use it to get to Corvallis. The “tracks” are already in place.